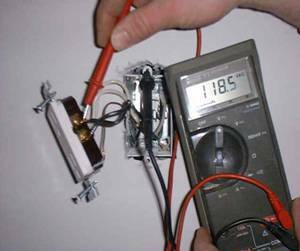 Voltage testers are used to determine if there is power to a circuit or device. There are many types available on the market. This article provides a basic overview of voltage testers – how to use them, and some of the different types of voltage testers available on the market. 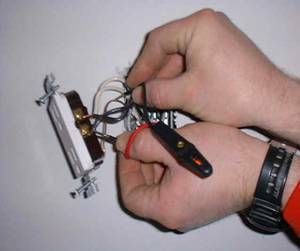 Why Use a Voltage Tester? As we emphasize throughout our web site, safety comes first! 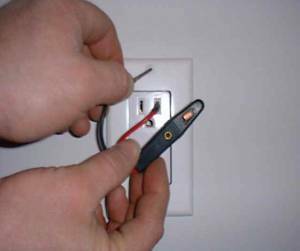 The most important thing to remember when working with electricity is to turn off the power. It is also important to learn how to make sure the power is off, and this can be done easily using a variety of different testers. 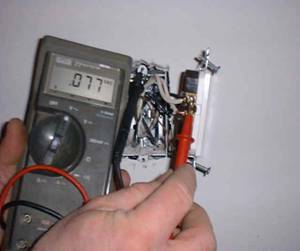 The simplest and least expensive tester is the neon 2-wire 0-500 volt tester. Put one of the leads on a ground reference (box screws, neutral side of a plug, neutral or white wire, etc.) and the other lead on the hot wire (hot side of a plug, black or red wire, etc.) See figures #1 and #2. If the neon light glows, then you have voltage at the outlet, as is the case here. 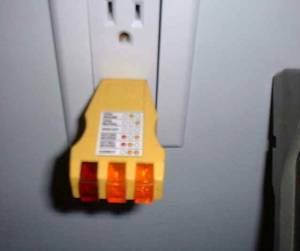 Another handy device to have around is the plug tester. Just plug this device into a receptacle, and it will not only tell you if there is voltage present, but also if it is wired correctly (or not!). Just follow the codes on the tester to determine the situation. 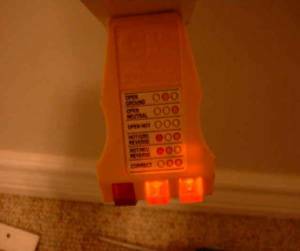 The type of meter that most electricians will use is the digital multi-meter. These come in various brand names, price ranges and quality, and the old adage, “you get what you pay for” is the best advice to follow here. Figure 6 – Testing from neutral to box ground. The Digital Multi Meter is a far more complex instrument, with greater testing capabilities than a simple voltage tester or plug tester. 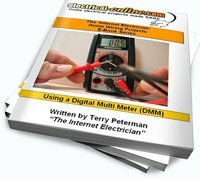 If you are interested in learning more on how to use this valuable tool, I would suggest you purchase my ‘Using a Digital Multi Meter’ e-book. CLICK HERE for more details on this helpful guide. This entry was posted in Meters & Testers and tagged digital multi meter, multi meter, neon 2-wire 0-500 volt tester, plug tester, volt, voltage, voltage tester. Bookmark the permalink.